Winter flowering plants are always valuable in landscaping and Luculia species and cultivars are some of the best. With the added attraction of having fragrant flowers they are a useful plant in many landscaping situations. Easy to prune and very rewarding with flowers at a time of the year when they are most needed. Recent hybridisation and selection of cultivars by wholesale growers have brought us new and improved varieties, better flowers and better foliage. L. gratissima – Which has been a popular plant in many Australian gardens for a number of years. L. pinceana – More recently this has become the Luculia of choice. Said to have a better form, better flowers and also better fragrance. It is the named cultivars that are sought after and we have selected the best three that wholesale growers have to offer. 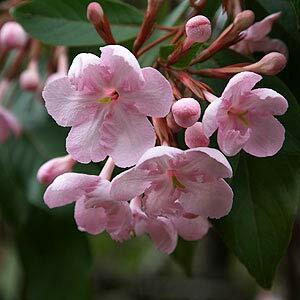 Luculia ‘Fragrant Cloud’ will reach around 2m in height and is easily pruned to shape and size. Deeper pink flowers than others and a good perfume as well. Luculia pinceana ‘Pink Spice’ has better foliage than that of L.gratissima, larger flowers and a very good fragrance. Luculia ‘White Frill’ has pink bids that open to white, flowers are smaller and very attractive.